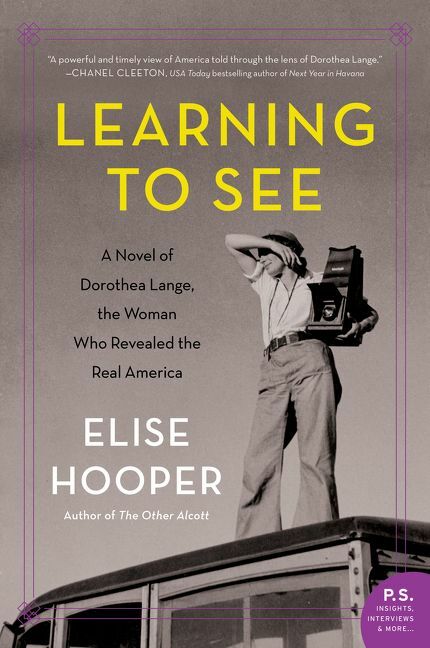 In this fast-paced novel, we meet strong-willed trailblazing photographer, Dorothea Lange, whose fame grew during World War II and the Great Depression. Sold on a Monday meets Beautiful Exiles. By the early 1930s, as America’s economy collapses, her marriage founders and Dorothea must find ways to support her two young sons single-handedly. 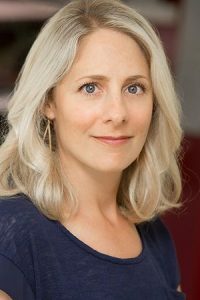 Elise Hooper, a New Englander by birth (and at heart), lives with her husband and two young daughters in Seattle, where she teaches history and literature. The Other Alcott was her first novel. The envelope arrives on one of my good days. From my spot in the kitchen I hear the mailman’s footsteps on the front walk and the click of the mail drop’s lid, but then the phone rings, distracting me. When I lift the shiny black receiver to my ear, the coolness of it against my skin almost makes me shiver. We both laugh before saying goodbye, and we’re as good as new. Lord knows we’ve gotten used to each other’s prickles over the years. Highs and lows and then some, but I consider myself lucky enough to have been blessed with two great friendships, both very different from the other, but each grand in its own way. Whenever anyone points out that I’m being difficult, I think of the loyalty of these two women; it’s all the evidence I need to know that there must be something redeeming about me. I scoop up two cans of sliced peaches off the counter, treats for the grandchildren, and place them into a wooden crate lying on the counter. When I straighten, a pain sears through my stomach, causing me to gasp and bend over. Poor health has plagued me for twenty years now, but this is something new. Something foreboding. Something that makes me think this is the real thing. The thing that could finally win. From my huddled-over position, I survey my kitchen, looking for items that still need packing, but everything is precisely where it should be. My teak bowls from Thailand catch the light and glow next to the sink. The white countertops gleam, nary a crumb in sight. I catch sight of my black leather camera bag next to the crate and sigh, closing my eyes. Imogen’s right. We did work all of the time. And while it was wonderful, heady, and stimulating, all of our earnest conversations about craft, the constant yearning to find the right shot, the sense of accomplishment when the negative revealed exactly what I hoped, and sometimes even more—all of that work came with a price. The black font, simple and elegant, makes my breath catch. Holy smokes. I return to the kitchen holding the envelope in front of me and open a drawer to find my letter knife lying where it should be. Pausing for a moment, I swallow before tearing a slit across the top to lift out the letter within. After I read it once, I read it several more times, letting the words sink in. My hand lowers to my side, the paper rattling in my quivering fingers. Sucking in a deep breath, I fold the letter back into the envelope before nudging it into the pocket of the merino heather-gray cardigan sweater I like to wear when we go to the beach. Though there’s still a list of things to be done before we leave, all thoughts of packing have scattered from my mind. As if in a trance, I walk out the kitchen door and through the backyard to reach my studio. I let myself in and sink onto one of the director chairs pulled up to my work counter. Through the nearby open window, there’s a creaking sound of the oak trees swaying in the breeze. Otherwise, silence abounds. I’m suspended in a weird space of inaction, a paralyzing inability to think. I lean over to open a drawer and retrieve a file. California, 1936. Black-and-white photographs spill out across my worktable. Faces of men, women, and children. All as dry, dingy, and cracked as the land in the background. I glance at the other folder tabs. New Mexico, 1935. Texas, 1938. Arkansas, 1938. Arizona, 1940. I’ve visited so many states, taken thousands of photographs. They gave a face to the masses struggling to make ends meet. They started conversations. Few would argue that my work wasn’t important and useful. And while I don’t regret my choices, I’m saddened that I’ve hurt people dear to me. Can I find peace with the sacrifices I made? Within several minutes, the high pitch of young voices trills from the house. Everyone is back from the store. A spell has been broken. I rise, touching my hand to my pocket to feel the envelope. I push it down deeper into my sweater and walk toward the house.